If you’re the boss, it could be difficult to tell that you’re actually driving employees away. Here’s how to seamlessly make an exit. Before you quit, do some planning. It’s important to find the right time, so it’s an easy transition out of the company. Make sure you’re not in the middle of any major projects that require your presence, and that you put your team and projects first. When you do give notice, if you can, consider offering an extra week’s notice to show your team you’re committed to wrapping things up in their entirety. Also, remember to write a polite resignation letter telling the company you’re leaving, thanking them and offering your assistance for a seamless exit. Always keep a resignation letter short and to the point — there’s no need to give a lengthy or emotional explanation of why you’re leaving. Related: Are You Quitting Too Soon or Staying With It Too Long? Behind every Google search, there is an intention. People are looking for something in particular when they’re searching the web — the answers to their problems, information about the services available to them or sources for the product they want. If you want your business to be discovered by users on the web, your content needs to be optimized for user intent. Since Google can recognize user intent, it displays pages in search results that are most relevant to what the user is looking for. Because of this, understanding user intent and creating content with the user’s intent in mind is essential to improving the relevance of your website pages and improving SEO. If you want to drive more relevant traffic to your site and increase conversions, here’s how to create a user-intent SEO strategy. In order to create a user-intent SEO strategy for your content, you first need to understand the different types of user intent. Start by heading over to Google. Enter the search terms your audience would be looking for; and, based on what turns up, you’ll easily be able to identify what type of content users want at each different stage of user intent. 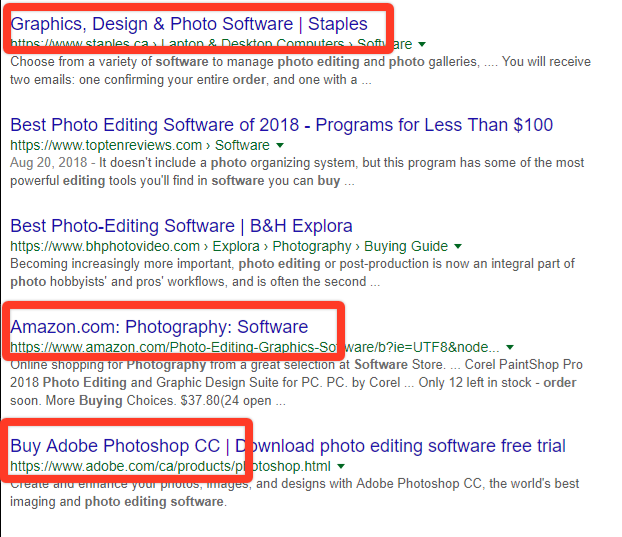 In the example below, I used Google search results to demonstrate the three stages of user intent. 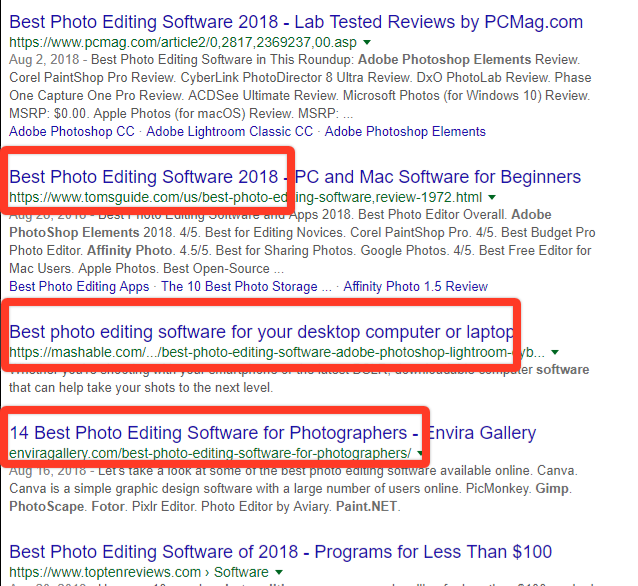 In this stage of user intent, the results are lists for the top 10 photo editing software and similar comparison blog posts that help users make a decision. The options may contain links to buy, but the sites aren’t pushing the purchase too hard. Most of the search results that show up with this query are from online stores that are selling the product the consumer wants to buy. The sites aren’t presenting informative blog posts, but product pages. In this instance, you should switch up your strategy so that users who search for “buy hand-knit sweaters” are led to a product page instead of an informative blog post. That way your users get what they’re looking for — and you get more conversions. Take a look at your other blog posts. If they aren’t being seen by users, incorporate more informational keywords. If your product pages aren’t showing up in transactional search results, sprinkle in some transactional keywords in order to improve your rankings for that type of user intent. Additionally, you’ll want to make sure you plan content for each type of user intent. This will help guide users through each stage of the buyer’s journey. That way, when users in the informational stage discover you, then move on to the next stage, they’ll find helpful content from you again — and you can lead them all the way to buying your product. There’s often a focus on online businesses. This week, there seemed to be a concerted effort to help local small businesses get online and even one instance where an online behemoth plans to enter into a very traditionally local, seasonal business. 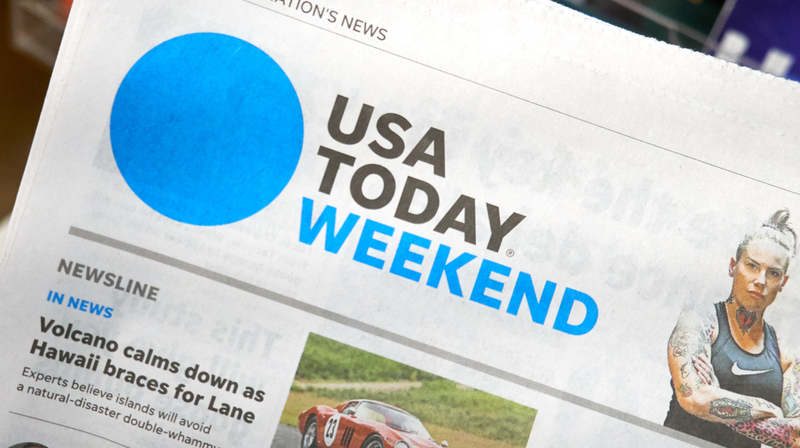 Earlier this week, USA Today announced a new tool to help local small businesses, often called the Main Street businesses, enhance their online presence and launch effective targeted marketing campaigns. Be on the lookout for the newspaper company’s new LOCALiQ service. On the back end of many local small businesses are usually some antiquated systems for dealing with customers and clients. That’s where something new from Womply is designed to fit. The new Womply CRM is designed specifically for mom-and-pop shops that are more likely to be complicated by traditional CRM systems. And finally, Amazon is reportedly planning to insert itself into another local business, just in time for the holidays. The latest suggests Amazon is planning to sell and deliver Christmas trees, just like it does with clothing, tools, and just about everything else. Of course, this could be an opportunity for Amazon to partner with one or several local Christmas tree sellers where this move might actually benefit some sellers. That’s just a small portion of what was making news this week for small businesses. Literally just the business on one street. Check out the rest of the week in small business news in our news roundup below. For those accustomed to This Week in Small Business appearing at this time, check back next week when host Brent Leary brings you his take on the news. Don’t miss that next show by subscribing to the Small Business Trends YouTube channel today. Upwork’s Freelancing in America: 2017 survey reports there will be more Gen Z people than Millennials in the workforce within a year. They are the generation that is most likely to freelance. In fact, the data shows that 73% of this generation freelances by choice. Did you know the cost of hiring a new employee can be as much as $7,645? In his exploration of the costs associated with hiring and training new recruits, Amr Ibrahim, CEO of ULTATEL, a telecom solutions provider, cites an Industrial Distribution report titled ‘Distribution Hiring Process: The $7,645 Letter’. The National Labor Relations Board (NLRB) announced it was going forward with a proposal for re-establishing rulemaking in the joint employer standard. New Joint Employer Standard Proposal The NLRB issued a proposed rule (PDF) to establish an updated standard to determine joint employer status under the National Labor Relations Act. 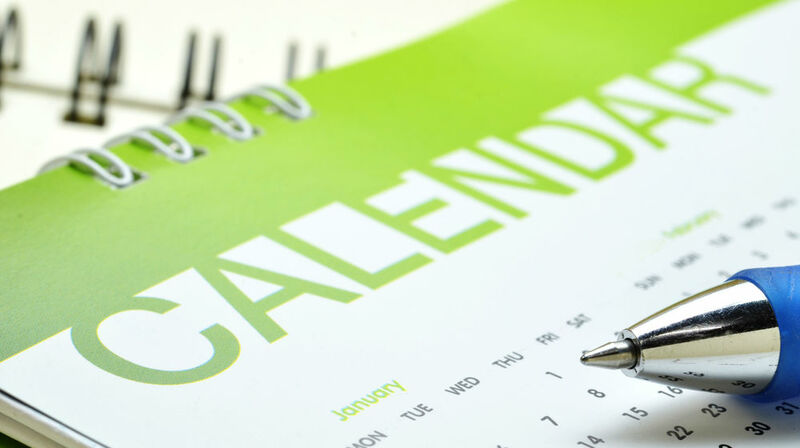 Week Plan is a weekly planner and task manager being marketed to small business owners who may feel like they have a bit too much on their plate. The app seeks to ratchet down that overwhelmed feeling by steering you to the tasks that matter most, instead of trying to get everything done. When it comes to consumers who shop online, the ability to return the items they buy for free is hugely important. Free Shipping Is Better Than Fast According to the 2018 annual eCommerce survey by Dotcom Distribution, more than 90% of the respondents placed a high value on free returns when they make an online purchase. Shopify (NYSE: SHOP) has launched a new app store with the goal of making the more than 2,400 apps in the store easier to find. According to Shopify, 85% percent of the merchants who use the company’s platform rely on apps to run their business. And the number of apps the average merchant uses has grown six-fold since 2012. Online video platform Vimeo has launched a new stock footage marketplace that could benefit small businesses seeking material for video content. The videos on Vimeo Stock are sourced from the community of filmmakers on its platform — so for creators there is also an opportunity here. The collection offers royalty-free videos with starting prices small businesses can afford. In order to solve the problems of cross-border trade and payments small businesses face, Mastercard (NYSE: MA) and Microsoft have created a new solution to simplify the process of doing business around the world. Mastercard Track Mastercard Track integrates with the existing procure-to-pay process system a business has in place. The National Labor Relations Board (NLRB) announced it was going forward with a proposal for re-establishing rulemaking in the joint employer standard. The NLRB issued a proposed rule (PDF) to establish an updated standard to determine joint employer status under the National Labor Relations Act. This move was to counteract a decision in 2015 the Obama-era board made to change the definition of the employer-employee relationship. Based on a 3-2 decision, the NLRB concluded Browning-Ferris Industries could be considered a joint employer with another company which provided contracted employees. This essentially meant anyone exerting indirect control over the terms and conditions of employment for a particular worker is an employer. At that time the decision was attacked by business groups, especially franchisees and small business owners who could potentially be subject to more financial liability and regulations. For the tens of thousands of franchise owners and many other small businesses, being labeled a joint-employer was a disaster in the making. Before the 2015 decision, the NLRB had considered two or more employers “joint employers” only if they had actual, direct, and immediate control over terms and conditions of the employment of their workforce. This was the case for more than 30 years. The 2015 decision said sharing indirect or potential control over another workforce could be considered joint employers. This introduced a lot of uncertainty for franchises, independent contractors, as well as small and large businesses doing business together. While the NLRB hasn’t said it outright, it is highly likely new rules will be issued to reverse the 2015 decision and return to the previous joint employer standard with direct and immediate control. Legislatively the House of Representatives already passed the Save Local Business Act (H.R. 3441) in November of 2017. The bill is currently pending in the Senate. 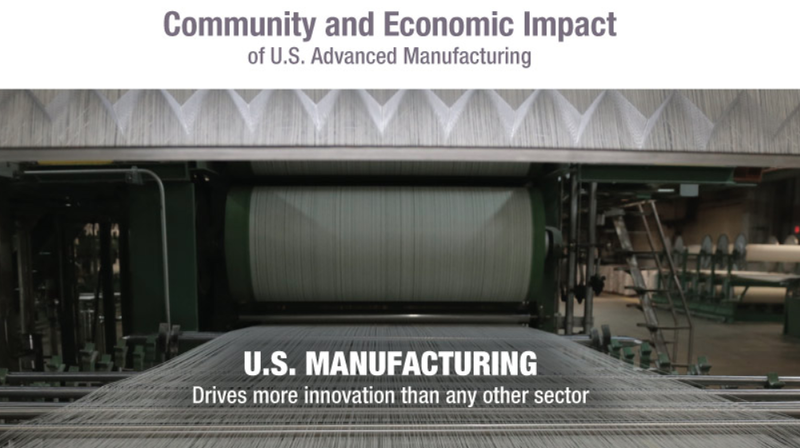 If you want to comment in response to the Notice of Proposed Rulemaking, you have until November 13, 2018. You can find the link for the NLRB page here. Today is the 20th anniversary of Google’s search page, and the company is throwing in a new doodle and a bunch of silly search Easter eggs for you to type into the Google.com home page. The Easter egg theme is “2018 results for stuff you might have searched for in 1998.” Type in one of the phrases below, and you’ll get a jokey “did you mean” result for something more relevant to today’s world. They’ll be live through Sunday, Sept. 30, so try them out while you can. Mashable, which attended a Google event in San Francisco, points out that Google is doubling or maybe tripling down (can you triple down?) on mobile. But at the NYC event we attended, Google showed how it’s changing desktop search, too, and how desktop search hasn’t been forgotten at the Googleplex. Shopify (NYSE: SHOP) has launched a new app store with the goal of making the more than 2,400 apps in the store easier to find. According to Shopify, 85% percent of the merchants who use the company’s platform rely on apps to run their business. And the number of apps the average merchant uses has grown six-fold since 2012. With so many specialized industry and task-specific apps, finding the right one amongst thousands of apps can be time-consuming and more complicated than it has to be. For the more than 600,000 merchants who use Shopify, most of whom are small businesses, the app store was overdue for an overhaul. One of the biggest problems the store was facing was the issues of scale, which according to Chu were causing problems for both merchants and developers. When you take into account the Shopify App Store had less than a dozen apps at launch in 2009, the 2,400 plus apps it has now represents an increase of thousands of percentage points. 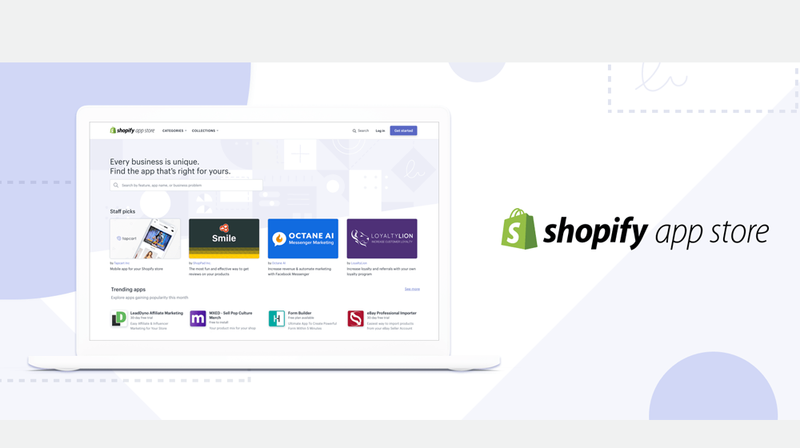 Shopify started by completely overhauling its app store to provide a better experience for users whether they are on their desktop or mobile device. The user interface is, according to the company, simpler and easier to navigate. This was in part achieved from the feedback merchants and app developers submitted to Shopify. This includes using a search function which understands the language you use to find what you are looking for, as well as making the results of your query more accurate. Based on your query, the result will discover available solutions in the most relevant order. The search result will also have key pieces of information up front and center, such as free trial details, ratings, and an easy to understand description of the app. The listing of apps has been improved by providing the most relevant information for each merchant. This includes side by side comparisons of apps and a more transparent and easy to understand price listing. With over 2,400 apps, going through the whole catalog to find a useful app would take more time than any small business owner had. A new smart app recommendation engine has been integrated into the store to suggest solutions based on patterns that drive success for your business. The engine will recommend apps which you may not have considered before based on prior purchases. Using the new apps together can introduce new levels of efficiency in running your store, marketing to your customers, analyzing data and more. You can visit the new and improved Shopify App Store here. 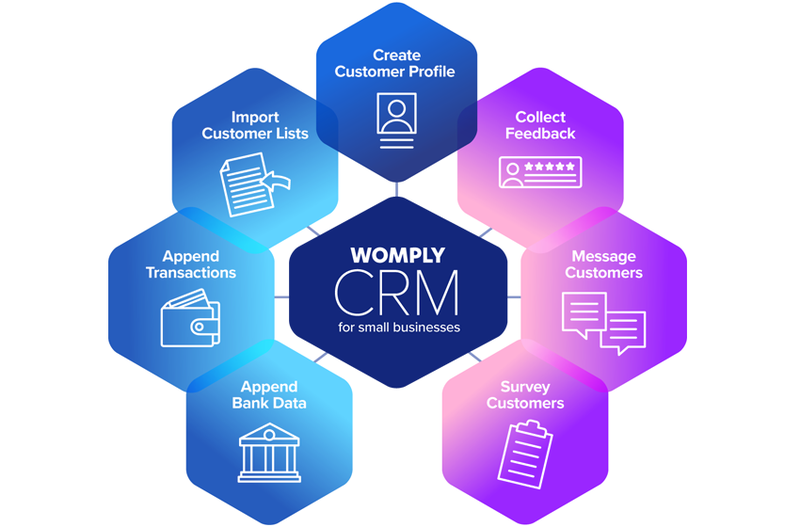 Womply says it designed its CRM to solve the customer-facing challenges of small businesses without the complexities of traditional CRM solutions used by large enterprises. According to Womply Founder Toby Scammell, this means working out of the box without wasting time and needing technical expertise. 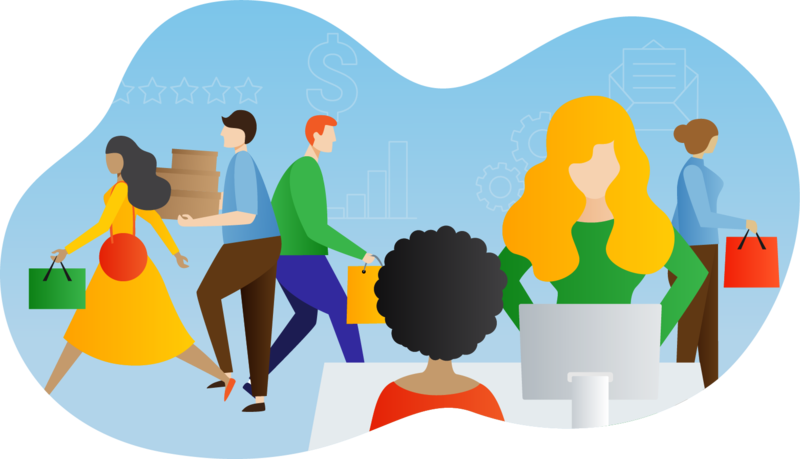 These are critically important factors for mom and pop shops who need to capitalize on the benefits CRM offers, but who don’t have the resources, expertise or time to implement complex solutions. The company says Womply CRM can be used by customer-facing small businesses like restaurants, salons, retailers, auto shops, medical offices, dental offices and more. The new CRM platform will collect valuable information about each of your customers so you can get to know them better, create personalized marketing campaigns, and form long-term relationships. Womply CRM can create and update customer records automatically from its database of 200 million consumers in the United States. Once your customers have been identified properly, the CRM will connect transaction histories to their profiles. These profiles can then be segmented by who’s new, who’s loyal, who spends the most, and more. You can even send personalized marketing messages to them with special offers and new promotions. During every level of engagement, the Womply CRM system collects feedback from your customers by text or email. This information is also analyzed to generate additional insights into what customers like or don’t like. This lets you make improvements to the product and services a business provides. During the early days of CRM, the technology was used by large enterprises. But with the advent of the internet, social media and cheap computing prices, CRM has become affordable for the smallest of businesses. This has allowed small companies to better understand their customers and provide a more personalized service. Womply CRM is available now in select Womply software packages. The company has three subscription-based tiers for each business location. The Womply Basic is $49 per month for two users, followed by Womply Boost at $149 per month with unlimited users, and Womply Engage for $299 per month, also with unlimited users. If you have more than three locations, the company says it can create packages specific to your needs. And the purchase comes with a 14-day money back guarantee.